Because there are only so many bags one can buy every season, here is something else to get you all excited over. Yes, we’re talking bracelets, specifically leather bracelets that come with a touch of hardware for that contrast and bit of bling, if you know what we mean. And after scouring the web, here are 3 that you should most definitely check out. First up, The F Is Fendi Bracelet (SGD370) comes with the Italian fashion house’s F circle logo hardware and is furnished with a double stranded leather strap that’s adjustable to various lengths. An easy piece to match with most anything in your wardrobe, it is also the most affordable one in this line-up. Next, an all-new piece from Céline. Simply known as the Tied Twisted Bracelet (SGD810), this gorgeous piece comes with smooth calfskin and aged silver-tone hardware that’s luxurious-looking with just the right twist (no pun intended), made available in three different colours including Black above. 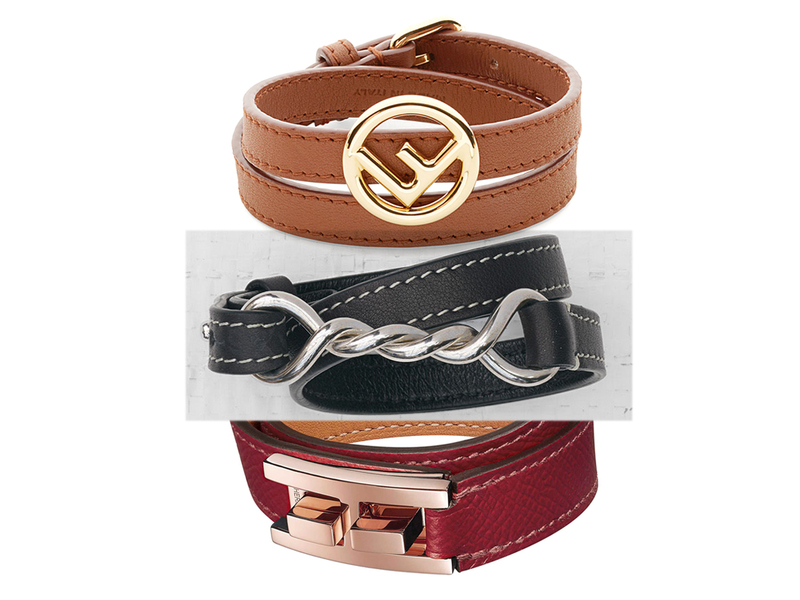 Rounding up the lot is the ‘OG’ of all double tour bracelets, Hermès. If you find the Kelly Double Tour too safe and predictable, consider the Drag Double Tour (SGD880), one that shows off the ‘H’ hardware in a delicate rose gold that’s chic and feminine all at once. And with all 3 now available in Singapore at their respective boutiques, it is time to get your (wrist) party started.